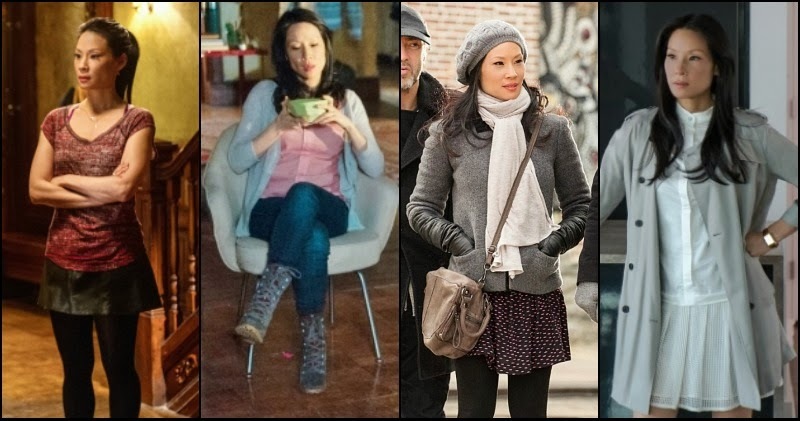 If you don't watch Elementary, you're missing out and probably should. First of all, it's a great show. 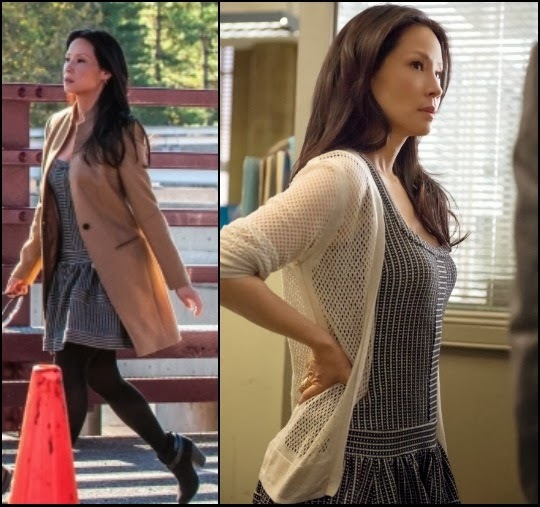 Second, Lucy Liu/her character Joan Watson has a style that I'm growing obsessed with it. I noticed it last season, but always thought "I can't pull any of this off." Then I realized I was subconsciously buying a lot of things she wears. SO.. I gathered some of my favorite looks of hers for us all to be inspired by. She does a lot of skater-style dresses and skirts, but she dresses down, too. She also has a great collection of jackets and cardigans, winter shorts, and booties. There are also a lot of drop-waist dresses like this. So many ways to rock the loose shorts and tights! Pretty obsessed with the leather and lace outfit on the right. You also don't see a whole lot of accessories on her outside of hats and scarves. I totally saw a dress just like this at H&M... then add a military jacket and tights.. bam! A white blazer or jacket in the winter.. Casual but so goodddd. I'm going to start paying even closer attention to her outfits and posting them even more. After getting almost the exact same boots she has on in the last picture [on Target clearance! ], I realize I might have a lot more of what she's wearing. What's your favorite look of hers? OR.. is there a fictional character's style you're loving?! Do share!